Thinking about attending FinCon? This is how it’s helped me. Now that FinCon is over, I wanted to share my recap of FinCon18, held in Orlando, FL the last week of September. Thanks to the people I met through the personal finance community, including in the FinCon Facebook group, I was able to start freelance writing on the side, which led to virtual assistant work – which has now led me to being completely location independent. That’s right – thanks to FinCon, I was able to transition from full-time office job work into working from home, a coffee shop, on the road – wherever. For the next two weeks, I’m going to be doing something a little different. Many people thought I was crazy when I left my full-time office job to “work from home”. They thought I wasn’t working, basically. That’s definitely not true! So for the next two weeks, I’m going to be running a series on blogging. 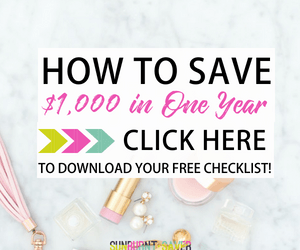 It will include how I got started blogging, how you can find time to blog (if you want to! ), where to find blogging inspiration and more. If you’ve ever wondered what this whole blogging thing was about, stick around for the next two weeks. If you’re not into blogging, come back in two weeks and I promise we’ll get back to all things personal finance. 🙂 Until then, read on to see how the recap of FinCon 18 turned out! I finally got to visit my first FinCon two years after starting my blog, in 2016. It was amazing and overwhelming. This year, I won a scholarship from CFSI, which means I get to go to this year’s conference in Orlando, FL (funny enough, I won another ticket to FinCon19 from CFSI – hello, Washington D.C.!). Selfishly, I usually only go to the FinCons that appeal to me- they’re close to me or they’re in a city I haven’t visited and want to visit. In reality, I don’t need to go to FinCon anymore- at least not for the typical reasons of “drumming up business”. So why do I love FinCon so much? Because of the people (which is why I still try to go as much as I can). After going to FinCon in 2016, so many more doors opened for me than I ever thought possible. In 2017, I was able to quit my job and work full time from home, setting my own hours and giving myself a ton of flexibility. 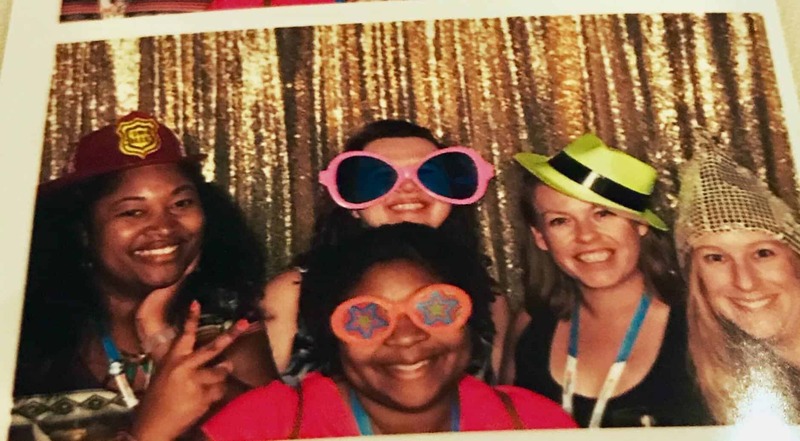 If you’ve been wondering if you should go to FinCon, let’s recap all the wonderful things that happened at FinCon18 and why you should attend the next FinCon (in DC!). Primarily, FinCon is all about meeting people. When you first go to FinCon, you’re typically meeting all your blogging “friends”- people whose blogs you read and who you interact with on Twitter and/or Instagram. You may be star struck at first- maybe you meet a blogging hero or a “famous blogger”. Eventually, you start to find your “tribe”. This could be people who are in a similar blogging journey to you, people who work in your industry, or maybe you all blog about a similar topic. What brought you to this session? Where did you fly or drive in from? While many of us joke that most bloggers are introverts, that’s not quite true. Just go outside of a conference session at FinCon, and you’ll barely be able to hear yourself think. People like to talk about themselves- and FinCon is all about talking and making connections. If I didn’t have FinCon, I never would have met many influential people in my life (including the weirdos in the pic below). I definitely wouldn’t have met the clients I had over the years, and therefore wouldn’t be working location-independently now. Without FinCon, I wouldn’t even be leading the life I have now! While this won’t be true for everyone, if you have an open mind, FinCon can open a lot of doors for you. Before my first FinCon, I reached out to other bloggers and made “friends” with them. I commented on their blogs, chatted with them via email or Twitter, and just generally tried to be helpful. 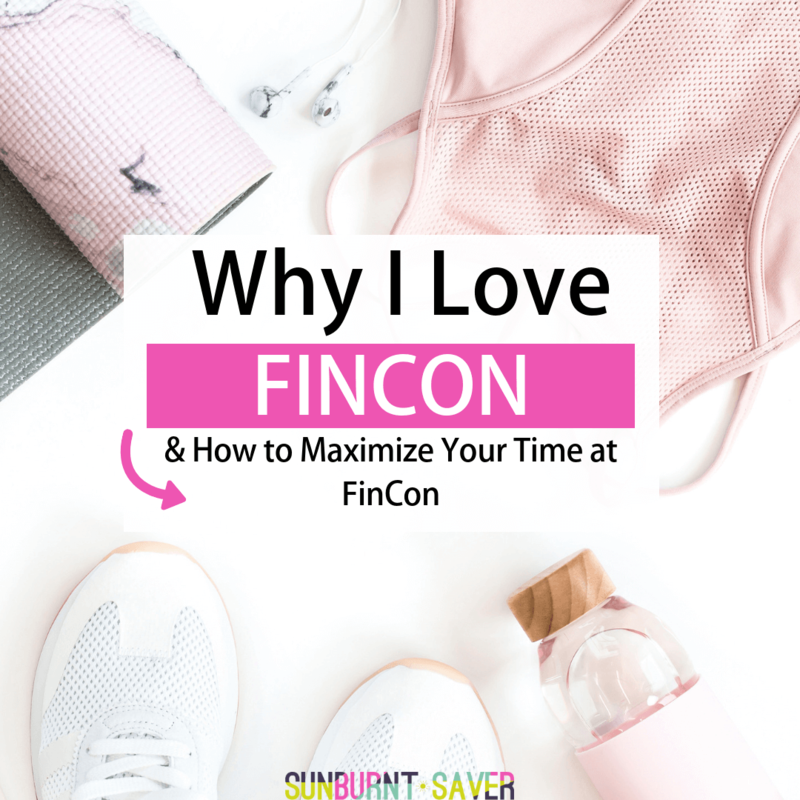 At FinCon, because I had already made some connections before, my friends introduced me to new people, bigger bloggers, and people who were interested in the work I was doing at the time (Pinterest management). Additionally, FinCon offers a marketplace for freelancers to advertise their skills and meet with interested blogs/companies to hire them, and I’ve made connections there in the past. Between friends and the marketplace, friend connections paid off more than the marketplace. The marketplace taught me some things about pitching, but nothing beats a friend connection when suggesting you for work. If you weren’t able to attend FinCon18, that’s ok- in fact, it might be even better! Pay attention online (look for the hashtag #fincon18 on Twitter), see who writes and chats about FinCon, and start commenting, being helpful and engaging with them on their blog or social media channels. By making connections ahead of time (like I did), you’ll be in a great spot come FinCon time! The sessions at FinCon are amazing- you should go to your top three at least, and definitely go to your friends’ sessions. If you’re relatively new to blogging and FinCon, the sessions are a great way to meet your “tribe” and feel a little less alone at the conference. Sessions at FinCon will also teach you a lot about what you care about and what you want to write about (if you’re a blogger). 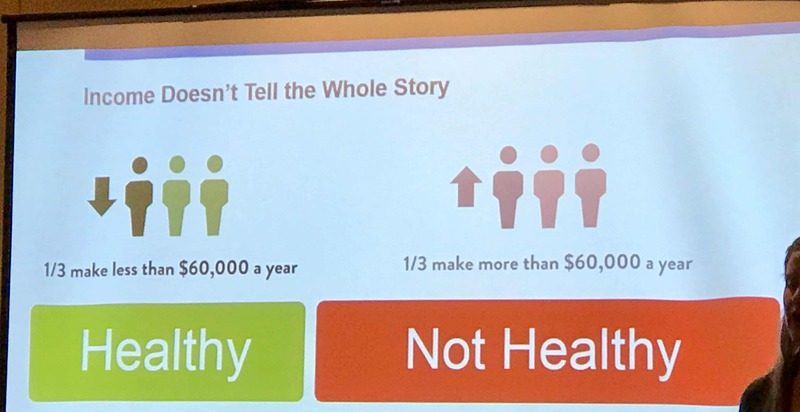 For instance, I didn’t realize the definition of someone “not healthy” financially vs. someone “healthy” financially. 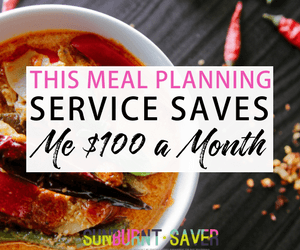 It actually made me realize people are a lot more financially stressed than I ever realized – I mean, I knew I am financially stressed by a few things, but I realized from this session with CFSI that I am far from alone. That said, FinCon is WORK. Bring your business cards, make notes on the cards you receive, and for goodness’ sakes, take 15 minutes a few times a day to sit down, relax and take notes about everything important that has happened. FinCon is a damn whirlwind and it’s no surprise many people get sick after or even during FinCon. It is crucial you rest! It is also crucial you follow up with people- so take a few minutes to sit down, de-compress and use that time to jot down notes. If you have to, escape to your room to get needed reflection time. After you’ve reflected and taken notes, create a follow up plan. I learned the hard way that following up DURING the conference is a terrible idea. Your email gets lost. So come up with a plan of following up after the conference. I found the best way to follow up is on the plane (if you flew) with your laptop or phone. Write your thank yous/connection emails/helpful stuff in a draft while you’re waiting for your plane, on a layover, or on the plane itself. Then, review your drafts and send them a day or two after the conference has ended and people have made it back home- two to five days seems to be a good amount of time. We might be “money nerds”, but we still like to have fun. If you haven’t been to an after-party at FinCon, go! Not only will you typically get free food and drinks, you’ll get to network, you’ll learn, and you’ll have fun. Also, FinCon is usually held in pretty fun places – places you actually want to visit. 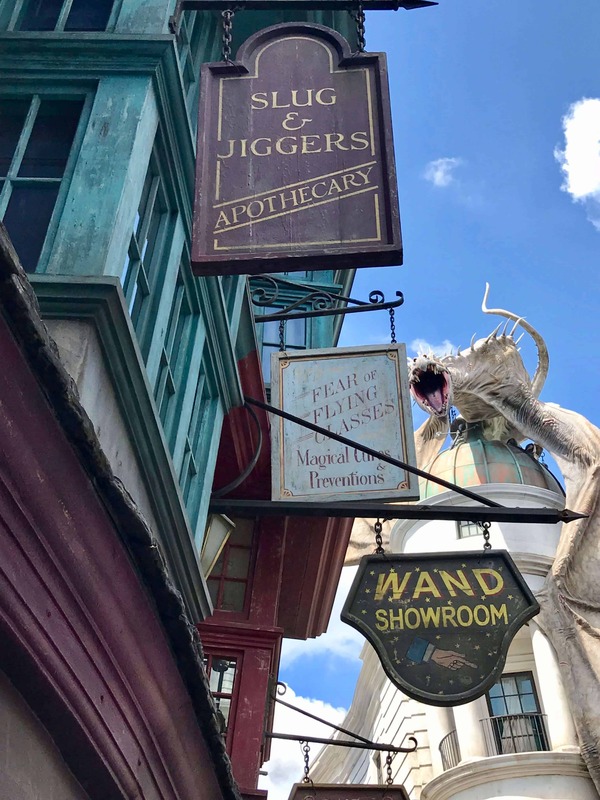 Although I am not a fan of Florida heat and humidity, I did actually enjoy myself – how can you not at Harry Potter world in Universal Studios? I mean, I saw a dragon and got a ton of pictures for Season 2 of Accio Debt Freedom! FinCon isn’t all work and no play! If you’re on the fence about FinCon, go to one that’s being held in a city you actually want to visit. FinCon19 will be held in Washington DC, which is a pretty high “tourist pick” for most people. The history! The intrigue! The free museums! That way, even if for some reason you don’t have fun at FinCon, you’ll still get to visit a fun city. 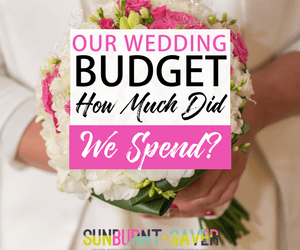 As I return from my second FinCon, but into my 5th year of blogging, I’m at a very different place in my blogging “career” than I was at FinCon 2016. I’ll be hanging out and building businesses with new people, catching up with old – and still admiring from afar those “blogging rockstars”. That said, I remember what it was like being a newbie. It’s overwhelming. All these successful people, or wannabe successful people like me, and I had no clue what to do. Luckily, FinCon is also about looking into your future. Two years ago, I could have never anticipated where I would be now. Back then, I felt overwhelmed and like I wouldn’t make it on my own. Now, I’m working on my own terms and loving it! At FinCon, you see how others are hustling and making it work, and it makes you see you can do it too (or do it part time! That’s cool too!). If there’s only one thing you do at FinCon, talk to people. Just say hi and ask what they do- that’s acceptable at FinCon! If you’re not interested, politely excuse yourself (bathroom, conference session about to start, oh have you met this person kthxbye). If you’re interested in them, ask questions! Learn from them. Even if they’ve been blogging a long time and you’ve only been blogging for 2 months- we all started somewhere! Looking ahead to your future – potentially! Also, if you see me, say hi! If you have questions about venturing out on your own (health insurance! Taxes!) I’ll try to answer them or at least let you know how I handle them (hint: insurance is hard). 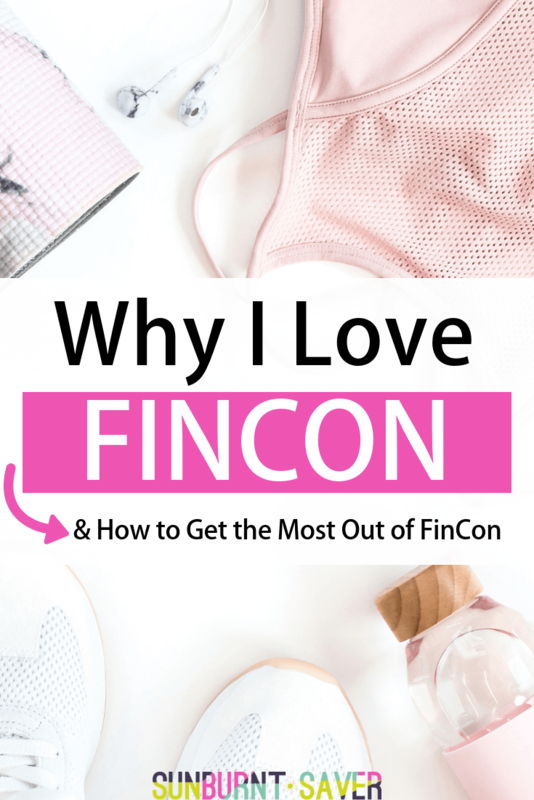 If you’ve been to FinCon before, what are your takeaways? How has FinCon helped your life and/or business? 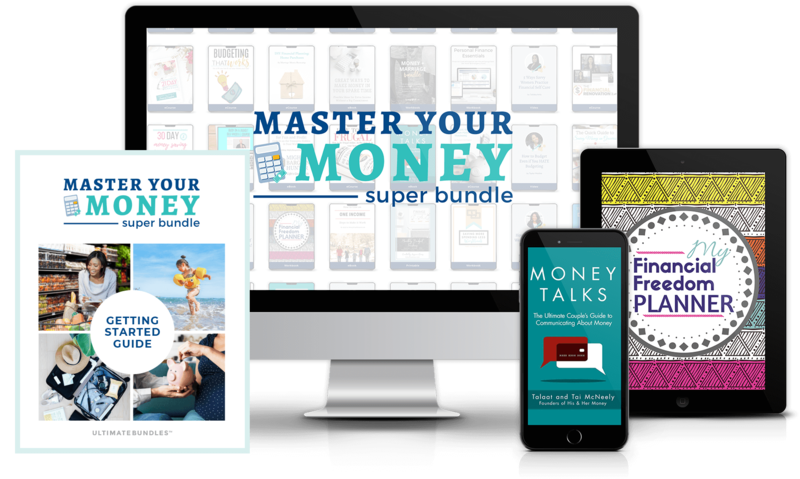 I am a freelance and a blogger now – my blog focuses on making money online and fincon sounds so awesome. I hope I can make it to this event in a few years and meet rockstars like yourself!